Judy and her friends are on the playground when Jessica Finch overhears a fifth-grader talking. What!? There’s no such thing as the Tooth Fairy? Can that big kid be right? Luckily, Judy Moody is on the case! All she needs is one loose tooth, a semireluctant little brother, a bathtub, a string, a toy motorboat, and . . . open wide, Stink! But what if the real Tooth Fairy is a no-show? 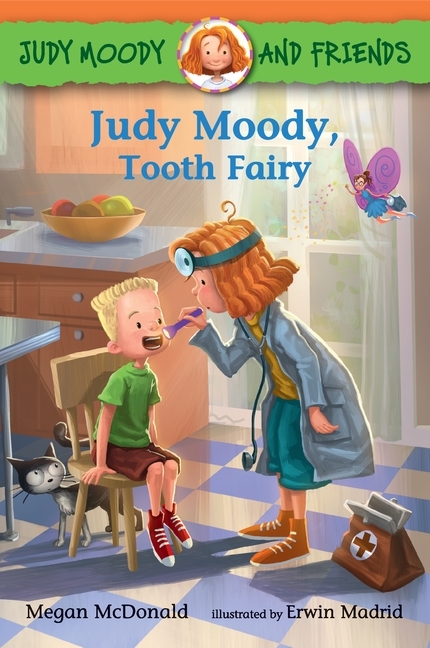 Judy Moody fans will happily sink their teeth into this cavity-free caper full of surprises — and a little bit of magic.